TUESDAY, Sept. 13, 2016 (HealthDay News) -- A new, small survey of people taking powerful opioid painkillers like OxyContin and Vicodin found that most were willing to also fill prescriptions for an overdose antidote. Three patients even used the antidote to treat an apparent overdose within a few months, the researchers said. The findings provide more evidence to support wider access to the antidote naloxone, better known by the brand name Narcan. "Physicians should absolutely consider prescribing naloxone with opioids," said study co-author Dr. Phillip Coffin. He is director of substance use research with the San Francisco Department of Public Health's Center for Public Health Research. "Some providers have voiced concern that prescribing naloxone to patients could result in negative patient reactions," Coffin added. "We found that this was rare. Even among the few with a negative initial reaction, all but one patient still wanted naloxone again in the future." 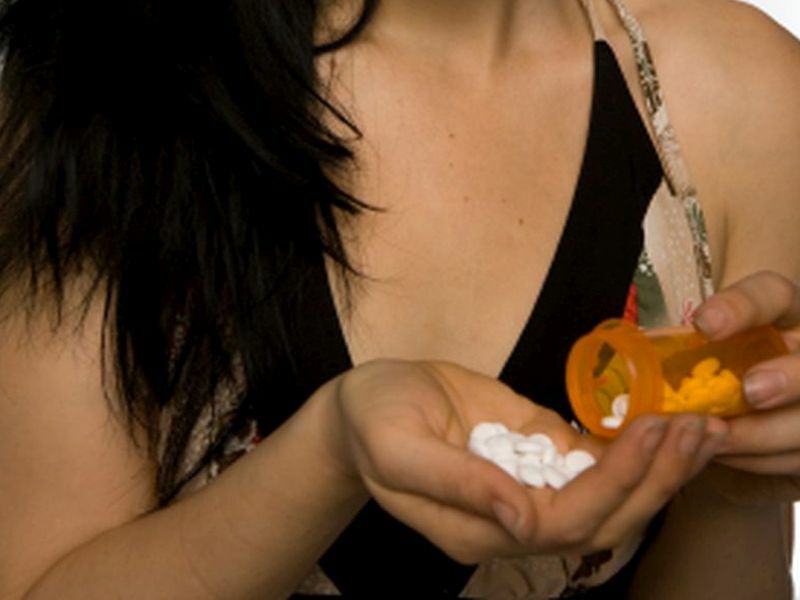 There is an epidemic of addiction to opioid painkillers in the United States, experts note, and that has triggered high numbers of overdose deaths in recent years. Narcan can reverse the effects of opioid overdoses by blocking "receptors" in the brain from processing the painkillers, explained emergency room physician Dr. Jennifer Plumb. She is an assistant professor of pediatrics with the University of Utah School of Medicine, in Salt Lake City. "It does not get you high, relieve any pain, or cause addiction," Plumb said. According to Coffin, some programs in the United States have distributed Narcan to people who use illegal drugs since the 1990s. But the medication is not routinely prescribed to patients who take prescription opioid painkillers. In the new study, researchers surveyed 60 adults who received opioid painkiller prescriptions from 2013 to 2015. Ninety percent had never been prescribed Narcan before; 82 percent had filled new prescriptions for the medication. Only 13 minded being offered Narcan, with some saying they felt judged or offended. Almost all of the patients (97 percent) said they thought that everyone who gets a prescription for an opioid painkiller should also be prescribed Narcan. More than one-third of the patients said they improved their drug-taking behavior after getting Narcan. Of those, eight specifically pointed to improvements like handling dosing and timing of doses in a safer manner. According to the report, one patient said: "I've probably been a little more cautious. Just being careful to take the right amount, count the hours . . . just thinking more cautiously about dosing." Three patients said they were actually administered Narcan for an overdose over a period of about six months. Did Narcan make any patients more likely to be careless about their opioid use because they had a backup in case of an emergency? There's no evidence of this, Coffin said. "A good way to think about naloxone is like a fire extinguisher in your kitchen, which is generally unlikely to increase your propensity to burn down the house," he said. The study also found that some patients didn't think "overdose" described their bad reactions to opioid painkillers, even when they stopped breathing. "Most people feel the term means taking a whole bottle of pills at once or injecting too much heroin," said Coffin. Plumb said Narcan comes in a variety of forms, including an injectable version that non-physicians can use, a nasal spray that comes in a kit that must be assembled, and a newly approved nasal spray in an easier-to-use squeeze bottle. These can cost $40 to $150 for kits of two, she said, and insurers will often cover them but may impose a co-payment. What's next? Plumb said it's important to think about "how we strategically and thoughtfully put naloxone into the hands of those who are at risk but don't know it or don't acknowledge it," she said. Since insurers aren't likely to pay for Narcan to be given to all opioid users, she added, health systems will need to figure out who should get it. Coffin said the antidote is important "for patients who have a substantial amount of opioids in the house, both for their own protection and in case of unintended exposures to those medications by children or other adults." The study was funded by the U.S. National Institutes of Health. The report was published in the September/October issue of Annals of Family Medicine.